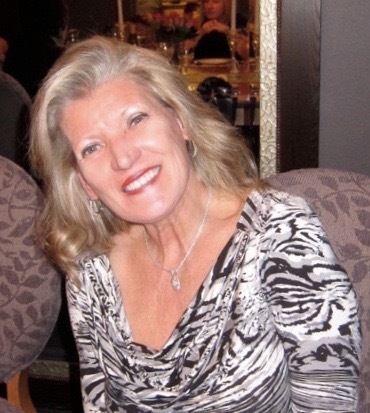 Lynn Ann Nelson, passed away suddenly March 29, 2019 due to a sudden stroke in the brain stem. She was born July 29, 1954 in Philadelphia, PA to John and Katherine Pakyz. She married her longtime friend and love, Alfred Nelson, in June of 1976 and have been best friends ever since. Lynn loved life and lived it to the fullest. She was rarely still and was always doing for others. She loved to travel and eat out and chat with all of her friends and family. She absolutely cherished her time with her grandchildren and brought such joy to all of those around her. For decades Lynn worked at Jean’s Hospital in Philadelphia as an Operating Room Nurse. She was one of the few people that truly loved her job and enjoyed her work. She was a master at her craft and one of the best nurses in the world. Lynn is survived by her loving husband Alfred D. Nelson. Loving mother to Matthew (Nicole) Nelson, and Brian Nelson. Grandmother to Macklin and Maverick. She will also be missed by her parents John and Katherine Pakyz. Sister to Karen (William) Press. Sister in Law Sharon (Harvey) Siegel. Mother in Law Ida Nelson. Nieces and Nephews William (Ronnie) Press, Andrew (Maria) Press, Sara Press, Courtney Siegel, Mackenzie Siegel, Luke (Jo) Siegel, Lake (Scott) Campbell. My heart breaks for the family, knowing how much Lynn loved her family and how loved she was by them. We will often think back to the fun and eventful nights with Al and her. Our prayers are with you all. Jill and I are so sorry to hear about Lynn’s sudden passing. Our thoughts and prayers are with all.